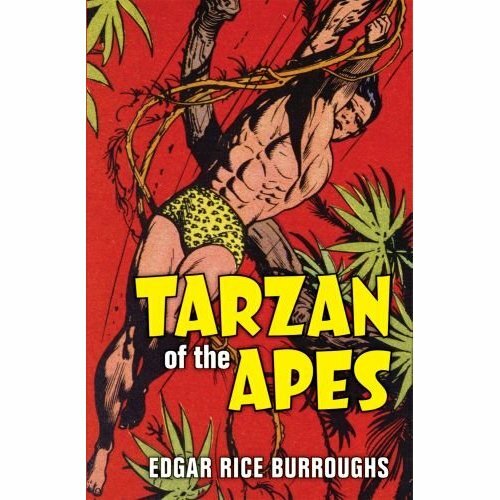 As the new film The Legend of Tarzan is being released this week, it is a good time to discuss how the film could potentially interact with the source material created by Edgar Rice Burroughs. This 2016 Tarzan film will not be an origin story; instead it appears to focus on what happens after he leaves the jungle, which is in some ways closer than one would think to the original story. To understand Tarzan in the modern day and how to approach it from a literary standpoint, we need to understand the time-frame during which it was written. The first book was published in 1912, when there were still uncharted corners of the world and unexplored jungles. Anything was possible, and the thought of a man raised by apes was entirely plausible to the readers of the epoch. The idea of a man living and surviving in the jungle after being raised by apes was extraordinary, and it was part of a trend -- alongside the likes of H.G. Wells and Jules Verne -- that involved taking the forming thoughts of adventure and science fiction and walking the line of human knowledge. Exotic locations and strange tales make for interesting stories, and at the time of writing, the deep jungles were perfect. Some writers today will write a sequel or make a series out of a book if it happens to be successful. With his Tarzan books, Burroughs created a small empire that spanned across at least twenty-four books, depending on what you count (other works were considered official to the canon but were not penned by the creator). This canon simultaneously gave future creators a lot of material to work with and thinned out some of the quality of the series (not all the books met the first’s high standards…). 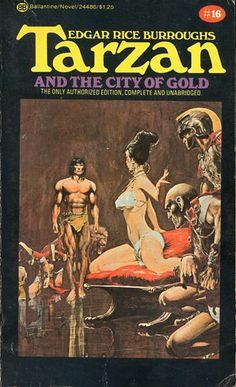 This was moderately common with successful pulp works, as Burroughs’ other famous protagonist, John Carter, received similar treatment. The literary standards weren't so high, nor was the reading level of the intended audience. This wasn't a series about great themes as much as it was about big adventures. Throughout the novels, Tarzan travels around the world, has a son and makes a series of allies and enemies too long to list fully list. Here’s a brief overview however, of some important background and adventures in Tarzan’s world. Firstly, Tarzan is actually John Clayton, son of English parents John and Alice Clayton. When they are killed in Africa, John – as a child -- is raised by a she-ape of the Mangani, named Kala. Jack’s ape name is “Tarzan,” which means “White Skin.” Raised by the apes, Tarzan possesses many incredible physical skills. We all know, from pop culture allusions and movie history that he swings adroitly from vines. But Tarzan is also agile, and possessed of great speed and discipline. After the first book, Tarzan of the Apes (1912), wherein Tarzan first meets Jane Porter and takes her back to Baltimore (her home, rather than England, as in the Weismuller films), he is adopted into the Waziri Tribe. In The Return of Tarzan (1913), the lord of the jungle helps the Waziri stave off ivory raiders. After marrying Jane, and having a son with her, Jack (jungle name: “Korak,”) Tarzan saves his family from Russian kidnappers and foes, characters who recur in more than one book. By the late 1910s, the Tarzan adventures began to feature more overt fantasy elements. There was one, in particular, that recurred: the lost city or kingdom. 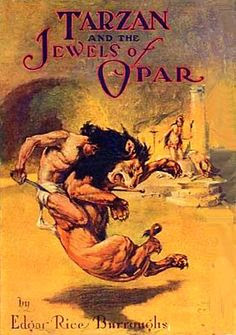 In 1918’s Tarzan and the Jewels of Opar, for example, Tarzan encountered a colony from the lost continent of Atlantis and a much-desired source of gold. In Tarzan and the Lost Empire, he found a colony of the Roman Empire in Africa. And In Tarzan at the Earth’s Core (1930), he crossed over into the land of Pellucidar, from another Burroughs literary franchise. In Tarzan and the City of Gold (1932), Tarzan butted heads with the evil queen Nemone in Cathne (the titular city of gold) and sought to help the metropolis of Athne (the City of Ivory). By the end of the literary series in the mid-1930s, Tarzan had, literally, become an immortal being. This is ironic, since he also seems to be an immortal character in our pop culture psyche. There are a couple of themes over the years that you’ll want to keep on the lookout for in the literary Tarzan, and its latest cinematic offspring. The first is that of man’s inner nature. In particular: after being raised in the wild, is Tarzan is still a man on the inside? Can someone adapt (or rather…evolve) from such a state of wildness? At what point does instinct take over in a dangerous situation? 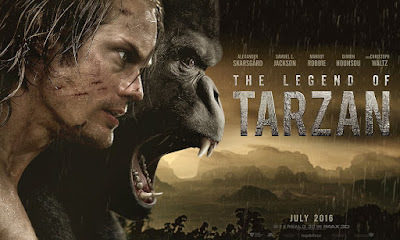 In other words, though Tarzan is a man, will he always be one with the jungle? Then there are the themes of exploration and the unknown. What right does man have to explore nature and interfere with it? Certainly, this theme was hit hard in the Tarzan films of the 1930s and early 1940s, as white hunters and raiders sought to loot the treasures of the jungle, including the ivory found in the sacred and mysterious graveyard of the elephants. When man and nature interact, who is in the right? While these themes and questions might not have been intended in the original texts, they do organically appear to anyone who is familiar with this work. More importantly, in the new film -- as it has historically -- will adventure come first? Will the hero possess the same bravery and feral nature as before, or will there be a shift based on creative needs? Will the values in the older works be acceptable to today’s audiences if they are displayed onscreen? We can't expect this 2016 edition to be the last Tarzan movie. The character is far too established in our cultural memory, and other directors will take their chances in future generations. Will future works lead us -- and Tarzan -- into the modern day? Will we see a return to the hero as originally intended in the pages of Burroughs? Will this 2016 take affect the global perception of the character? Only time will tell, and we should look forward to finding out the answers. 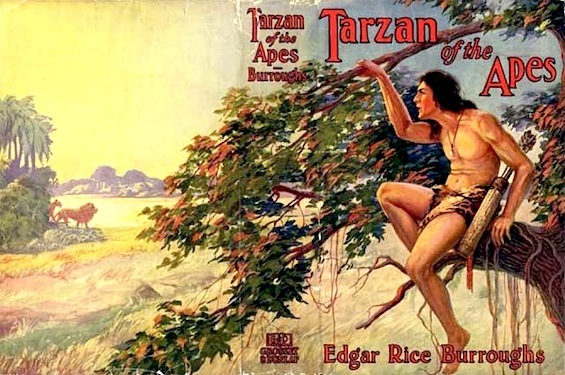 As readers, do you have any thoughts as to what Tarzan means in today’s world? Are there any adaptations that are your favorites or that you would like to draw attention to? Have you read the original works? Bio: Cassie Phillips is a tech and entertainment writer who primarily writes for Culture Coverage and Secure Thoughts. She enjoys taking a look at old works to see how they still interact with today's pop culture. I'm hoping it turns out well though the promo art in one of the previous posts leaves me with some doubts - sure looks blue in that jungle, doesn't it? I know it seems a petty thing to focus on but one thing that I find really annoying in many of today's films is the lack of colour. So many of them look like they were filmed under cold blue lights. Of the many things I loved about Fury Road the vibrant colours of the cinematography was high on the list. Burroughs writing is very well suited to a modern action film adaptation though. A film can be made of any of his books, be very fast paced and still be faithful to the original. It's too bad Jon Carter didn't do very well. I rather liked it and would have liked to see other stories adapted.